This paper presents a novel method to make molybdenum (Mo) MEMS structures by using both wet and dry etching methods complementing each other to do fabrication in less time by using bulk micromachining process. These planar structures can find a wide range of applications which includes pressure sensors, micro-hotplates owing to the property of Mo to be thermally stable at high temperature, and RF switches due to the mechanical stability of Mo. In the present work, the n-type Si substrate is used on which an oxide layer is grown by thermal oxidation and then high-quality Mo thin film of thickness 900 nm is deposited by DC magnetron sputtering. This paper also describes a very effective method to address the problem of stiction during the releasing process of MEMs structures. The Mo film is characterized by atomic force microscopy (AFM) and X-ray diffraction (XRD) and MEMs structures are characterized by field emission scanning electron microscopy (FE-SEM). 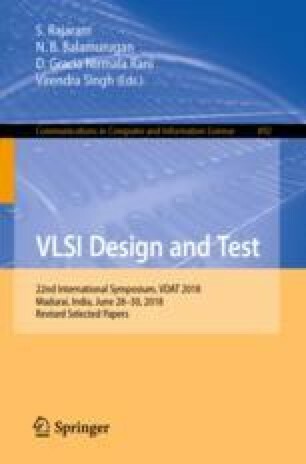 The authors thank to Institute Information Centre (IIC), IIT Roorkee for their support in characterization of deposited thin films.